A tasty bipartisan cake. 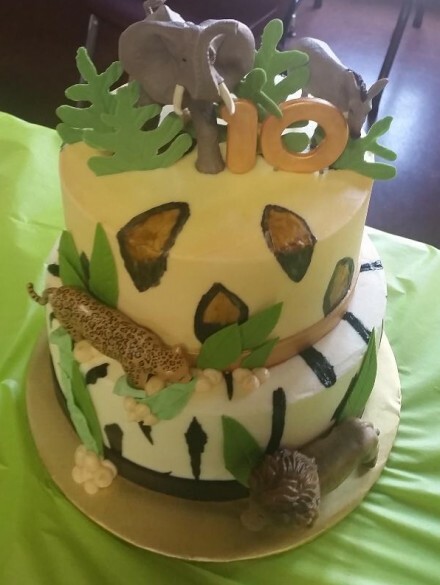 Kudos to OIB party planner Kim Tilson for cake idea. 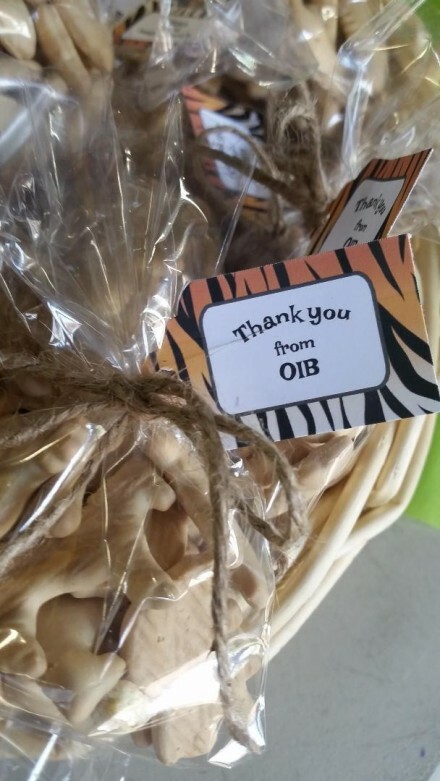 OIB’s 10th anniversary celebration welcomed nearly 100 guests Wednesday night in the Carousel Building of Connecticut’s Beardsley Zoo. 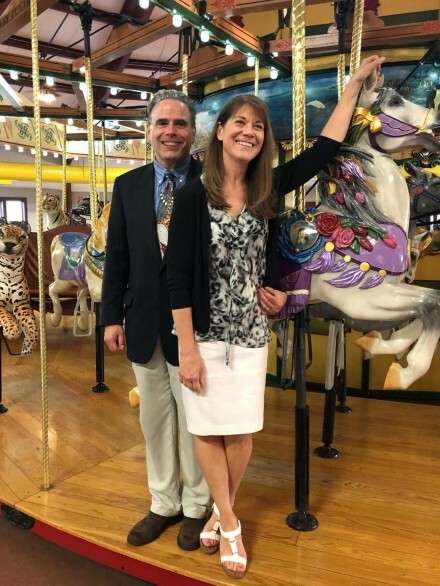 A special thank you to genial Zoo Director Gregg Dancho and zoo event organizer Lindsay Durkee for opening up this city gem to celebrate our first decade. 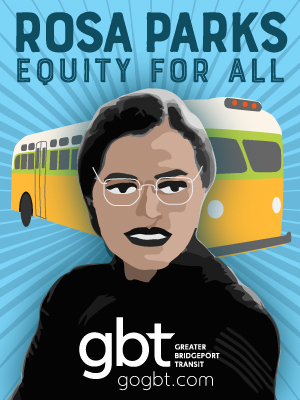 It was an egalitarian crowd. Thank you to all who attended and a gigantic embrace to our loyal readers. 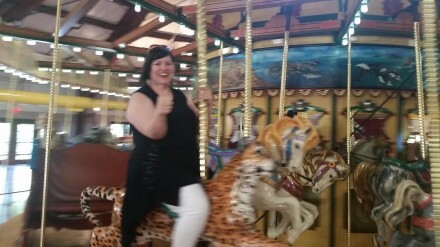 School board member Maria Pereira swings a ride on the carousel. State Senator Marilyn Moore chats with former East Side Dem town committee member Marilyn Middlemass. 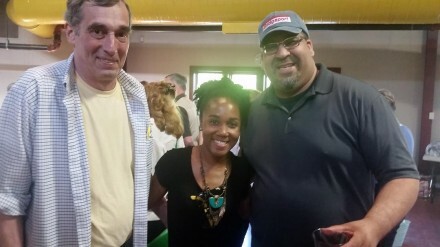 Local Eyes Paul Griffith, Jimilah Prince-Stewart, executive director of the education reform group Faith Acts and Kelvin Ayala, who runs the tasty Moe’s Burger Joint Downtown. Citizen fiscal watchdog John Marshall Lee, Jim “Sonny” Fox and former City Council President Lisa Parziale. 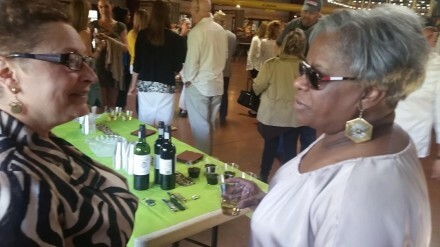 Superior Court Judge Dale Radcliffe, his wine retired Judge Carmen Lopez and Black Rocker Roberta Burns Howard. Check out the hat! Since most pols are crackers we provided a few animal crackers for guests. Your host and elegant wife Mo. Lennie congrats on reaching the 10 year mark. 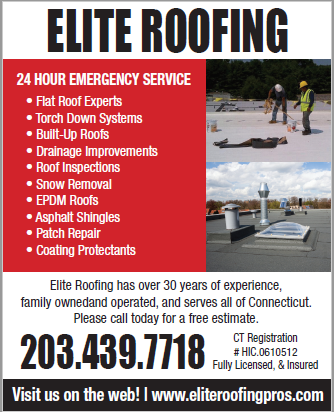 You definitely provide a needed service for the Bridgeport area. 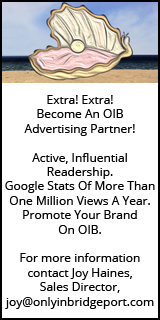 HEY LENNIE CONGRATS To You And OIB! Wishing You Another 10 Years, Sorry I couldn’t make it Last Night. Congratulations Lennie on ten years of OIB and serving the Bridgeport public. It’s been fun posting and I’ve learned a few things even from that punk Andy. Keep up the good work brother. Andy, don’t say Word. Donald Day and the Kid stood me up last night. I waited at the entrance for hours hoping to see them. Poor me!!!!! Just kidding although I did miss them. Last night was a memorable event and to those that missed it, hope for a chance next year. So many different personalities, some pols, some friends for decades, this party seemed to bring out the best in everyone. The venue was genius, giving guests an opportunity to mix without feeling claustrophobic. The really good part was that for those who wanted to avoid each other, they were able to do so without others noticing. 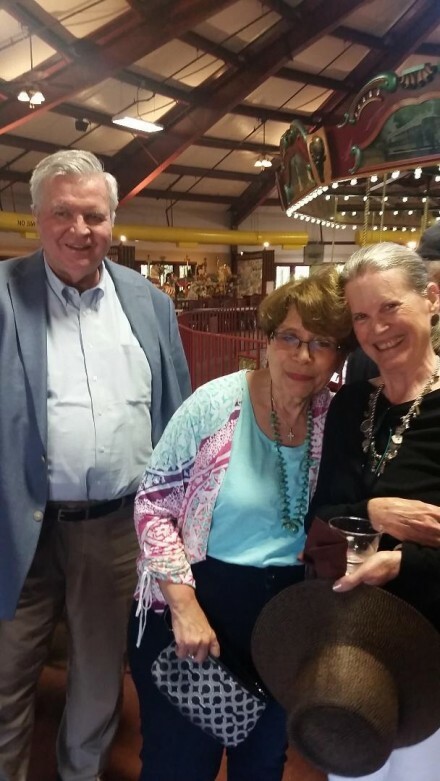 Kudos to Kim Tilson Guman, who was a perfect host complimenting our Lennie’s great social personality. Readers should know the party was great so security was lax and the wildlife moved freely. 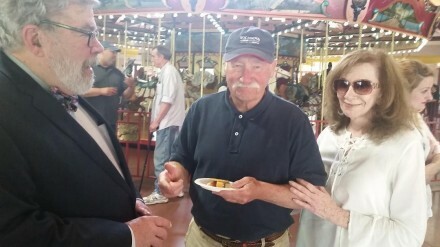 Among the interesting party tidbits was the fact that I was sitting next to the former City Council President on the 30-second golf cart trip from the parking lot to the carousel building. Local Eyes, that wasn’t so bad. It was nice to ride with you and David. See? For an uncaged animal, I was very tame. The stalker moves in mysterious ways. Lennie, I’m going to go in a different direction, Lennie you are a perfect example of a second chance. You were a good report and especially about Bridgeport but you got caught up in doing things that were illegal and you paid your debt to society and you suffer certain hardships including your family and your health. But like the Phoenix rising from the ashes there was a rebirth, a new start on life and here you are 10 years later, a better man who is serving those who had no where to voice their opinion, concerns or just a joke or some humor you provided that outlet with Only In Bridgeport and along the way two books. 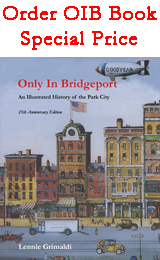 Lennie thank you for your service to Bridgeport and beyond, God bless. I’m not sorry I didn’t make it to the 10th. anniversary party. I was told a week before that the Ganim campaign was going to throw a turd in the punch (maybe kool-aid) and the cake. Cheers! And to another 10 years! Just as Ron Mackey did above, I want to make an observation that was outside of our immediate experience in the carousel building at the party. The evening was beautiful with the lush grass and the golden hour for the sun. As we left my wife and I were very impressed by how many families were using this major park in our Park City. Tables, fields, paths and plantings made for environments suitable for outdoor enjoyment and most of the parking spaces were filled at 6:30-7:00 pm. The City gives back to those who slow down and bother to enjoy these moments and places. The cake and the company present were top flight. Keep up the great work. Where can we help the City move over the next ten years? Time will tell.